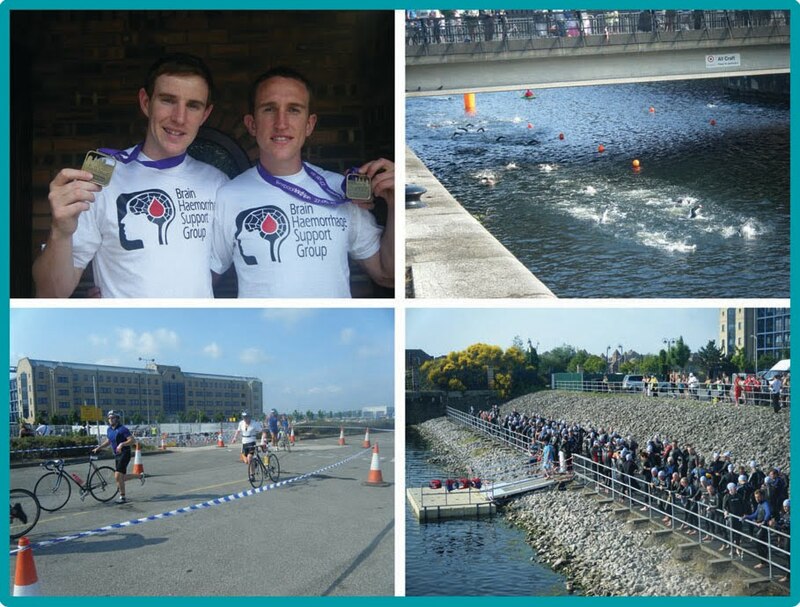 Congratulations to Ged and his brother Ste for competing in the Liverpool Triathlon in support of The Brain Haemorrhage Support Group on Sunday 27th July. The Brain Haemorrhage Support group was set up 3 years ago by a group of people who had been affected by the illness to provide practical and emotional support and to improve quality of life for all people affected by the condition. The event required the brothers to complete a 1.5km swim, 40km bike ride and a 10km run as quickly as possible around Liverpool's Dockland. A healthy competitiveness between the brothers helped them do the triathlon in an amazing 2 hours 43 minutes,. Ged came a very respectable 283 out of 631 just beating his brother in the final stages of the race (so he said!). Ged has been training for the race consistently for the past three months and has even had Clive Siddall our resident hero training him in open water swimming at Gaddings Dam: on one of the photos you can clearly see a shark in the water proving that our Sidhil men are fierce in the face of danger. So far the brothers have raised an amazing £550 with donations still being paid in. http://www.justgiving.com/brainhaemorrhagesupportgroup all donations are very welcome. Well done Ged and Ste from all at Sidhil!! !